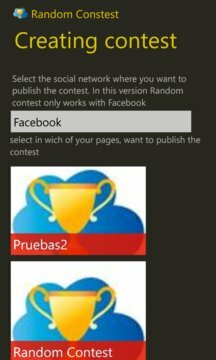 Random Contest picks the winner of your contests randomly and publish all the details in your Facebook, and our apps. Random Contest makes trustfull sweepstakes like a digital notary. Contenders may also consult the results in our apps or our web page and revised it. 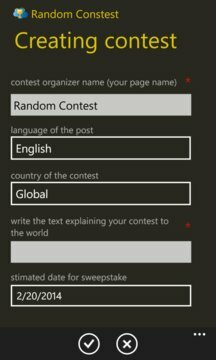 You can post contests and this app will calculate who shared and liked it.